I'm not going to plan a menu for this next week. We have lots of leftovers from Christmas and I didn't use up all my menus from last week. I hope everyone had a great Christmas! Mine was great, nice and relaxing. Did you make a turkey for Christmas dinner? I didn't, I made a ham. But if you did make a turkey here's a really simple, pantry-ingredient dinner to use up some of that turkey..
Saute green onions in oil in a Dutch oven over medium heat 1 minute. Add green chiles and next 3 ingredients; cook 2 minutes, stirring constantly. Stir in beans and broth; bring to a boil. Reduce heat, and simmer, stirring constantly, 5 to 7 minutes or until mixture is thickened. Stir in turkey. Pour into a greased 13x9 baking dish. Top with cheese. Top with biscuit*. 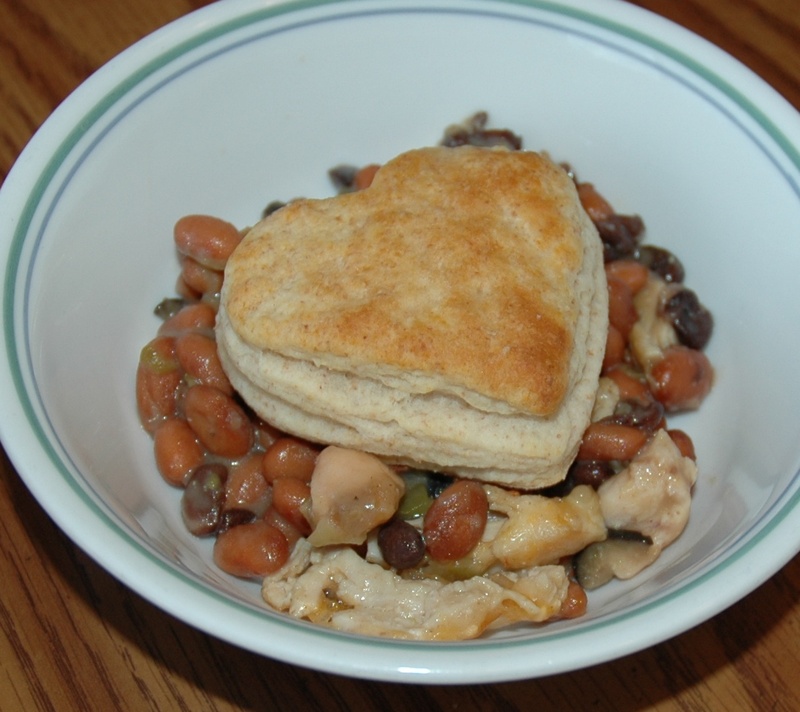 *I usually just bake the bean/chicken mixture without the biscuit. I bake biscuits separately and put it on top when I serve it.